Joint Disease in the Horse, 2ndEdition is theonlybook to give you a full account of equine joint disease, combining a thorough, up-to-date survey of scientific advances with a practical guide to both medical and surgical treatments. 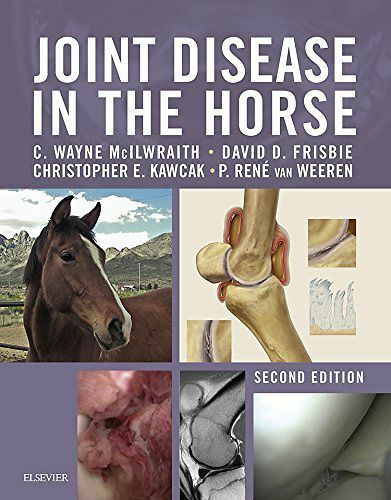 With contributions from nationally and internationally recognized pioneers in the field, this groundbreaking text offers an overview of joint structure and function and translates the latest information on basic joint pathobiology into practical application for the clinician. Step-by-step guidance on injection techniques and medications, along with a survey of practical arthroscopic surgery and developments, make it a truly indispensable reference for all equine veterinarians treating sports and racing horses.